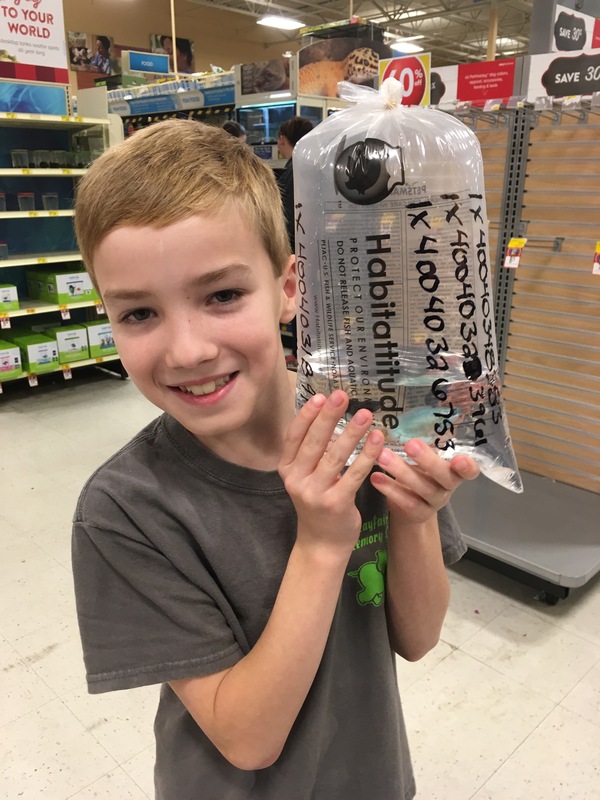 Today Jackson was able to pick out his fish for his aquarium. He has bee wanting an aquarium for months now and finally got one for Christmas. We headed out yesterday to pick out all of the decorations and fish. We quickly found out that we had to get out water in the tank first. Jackson took the news pretty well, so we headed home and set everything up. We were able to head back out today. Our water was tested and we passed! Jackson picked out 4 fish. We have three Molly’s (black, silver, and Dalmatian) and a blue gouramis. We have 2 female Molly’s and 1 make Molly. We don’t know if the gouramis is a male or female. Jackson has named his fish Molly, Snowflake, Cookies n’ Creme, and Gill. We have a lot to learn about fish, but right now we have a very excited little boy.